Sherwood Forest Lodges in Sherwood Forest, Nottinghamshire. 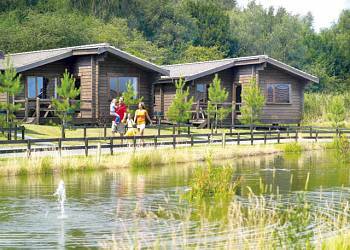 Sherwood Forest Lodges are positioned in the largest woodland area in Sherwood Forest. You will enjoy spectacular views of the forest and lush green glades. Sherwood Forest has play areas, walks and cycle trails for all abilities as well as spectacular scenery. 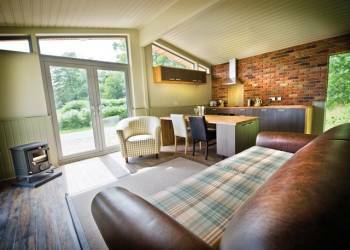 A holiday at these lodges really is a fantastic opportunity to really get close to the woodland and enjoy the forest. Sherwood Hideaway Lodges in Newark, Nottinghamshire. Sherwood Hideaway Lodges are nestled deep within Sherwood Forest on the magnificent Thoresby Estate, and offer a luxurious retreat for couples and families alike. The surrounding area spills over with majestic woodland, and twisting country lanes, affording wonderful walking and cycling. 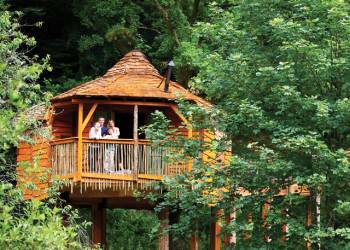 Enjoy a woodland holiday in this trully enchanting forest and woodland. Sherwood Castle Holiday Forest in Sherwood Forest, Nottinghamshire. 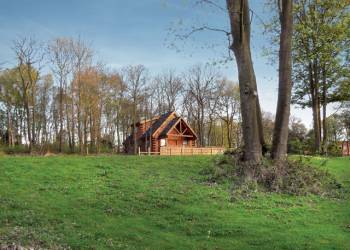 Individually set in 40 acres of private woodland, the log cabins in Sherwood Forest are your perfect choice for a holiday right in the heart of beautiful Robin Hood Country. Redbrick Lodges in Mansfield, Nottinghamshire. Nestling in cosy lakeside woodland within the grounds of a beautiful 19th century house, Redbrick Lodges boast an idyllic setting in the heart of Robin Hood Country. Perfect for exploring this majestic part of England.With Sherwood Forest virtually on the doorstep attractions abound, including farm parks, pleasure parks, heritage centres, and historic gems such as Chatsworth House. Nottingham is easily accessible.